I’m an American chef and food consultant living in Connecticut. I work the savory side as a cookbook author and recipe developer but am known for my expertise in bread baking and desserts. As a food writer, I travel the world visiting almond growers, bakers, flavor scientists, pastry chefs and all manner of farm and fishery. My aim here is to show some of my work in the hopes of inspiring others to be bold and curious in their food discoveries. 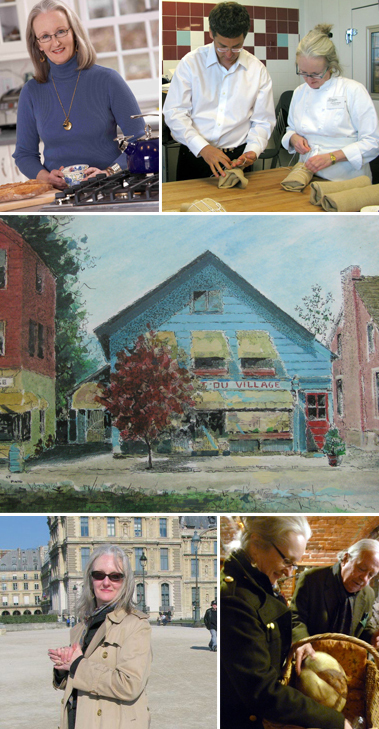 When Charlie van Over and I opened Restaurant du Village in Chester, Connecticut in 1979, we were pursuing our dream of capturing the spirit of France in a country restaurant. And for 11 wild and delicious years, we lived the dream. That experience launched my career and gave us a delightful place to call home. I’ve been very fortunate. From my start in the restaurant business, to becoming a baker, cookbook author and food consultant, exciting food experiences have been front and center for much of my life. There is nothing better for one’s sense of well being than cooking and eating food grown close to home. Wherever that may be. Anyone can learn to feel comfortable in the kitchen. Friends and a good loaf of bread make the meal. A little wine helps too. On this web site I share my ongoing quest to live a flavorful life. In the Kitchen you’ll find recipes or my tips on ingredients, equipment and cooking techniques. There are tricks I’ve learned in the professional kitchen that I use every day. 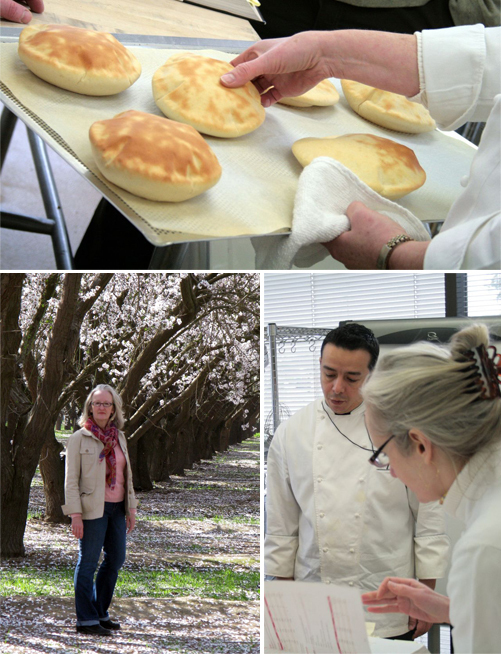 On the Road is where I share my tasting notes, from learning about olives in Meknes to teaching bagel-making in Tokyo. Sometimes I report on the frontier of flavors, exciting new ingredients like finger limes or such wacky products doomed to the culinary graveyard as the canned sandwich. The prevalence of manufactured flavoring in everything from truffle oil to food packaging fascinates (and frightens) me. It is a subject that merits more discussion. In Print includes links to my books and some articles I’ve written. Almonds are a special favorite of mine. And the lens through which I view the complex world of small farms, agribusiness and the global food system. Bread Baking is the place to visit to learn more about baking bread at home. Work with Me describes the services I offer. My culinary curiosity has opened doors for me. And the people I’ve met through food are some of the most generous, funny, engaging and crazy people imaginable. Web design + development by dreamscapes design group. Art Direction by Michelle Paulson. Logo design by Peter Good.